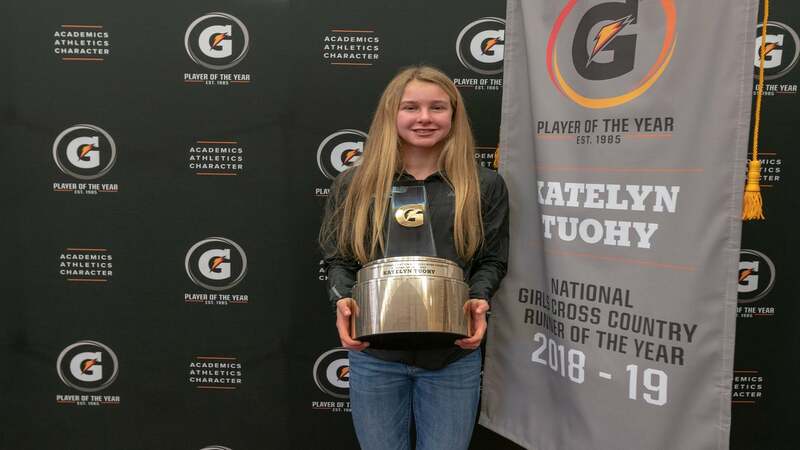 Earlier today, high school junior Katelyn Tuohy was named the National Girls Cross Country Runner of the Year, an annual award presented by Gatorade. Tuohy, who was the recipient of this same award last year, has also won the Gatorade Female High School Athlete of the Year award for 2017-18 and the Gatorade National Track & Field Athlete of the Year award for 2017-18, amounting to four Runner of the Year awards in total. Gatorade has selected athletes for these awards each year since 1985 across a handful of athletic programs. The awards are currently distributed to athletes representing 12 sports (one girl and one boy per sport), and though athletic achievement drives the nominations, academic success and exceptional character are also required to win. Those who do earn the chance to pick a youth sports program (local or national) that will receive a $1,000 grant and can boost that grant money by an extra $10,000 by submitting an essay advocating for their chosen program. The Millrose Games and the track season that follows may be fast approaching, but Tuohy’s race record suggests that she’ll soon have even bigger races on her radar—including one that’s already lurking at the back of her mind. “If I have a goal it would be qualifying for the Olympic Trials next year,” she said. 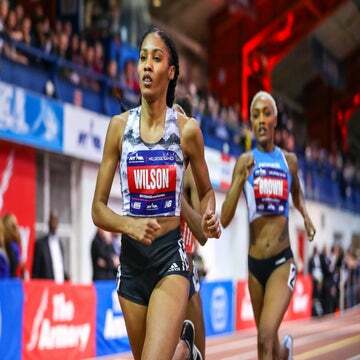 Check back with Women’s Running next week for a breakdown of the biggest moments at this year’s Millrose Games. For more information about Gatorade’s Player of the Year awards, visit the official website.